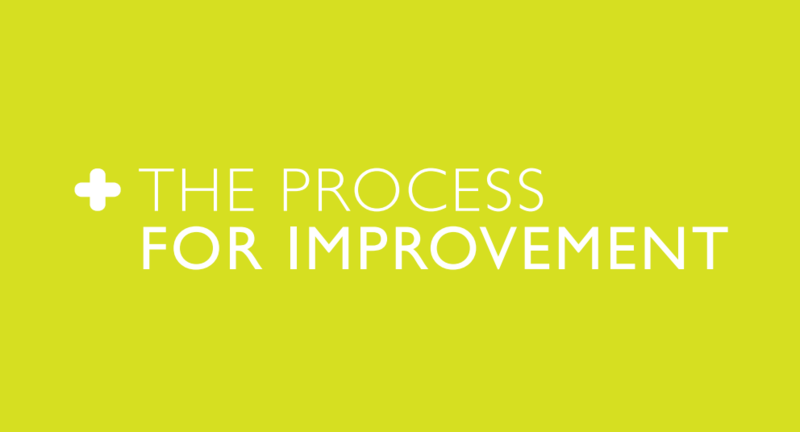 Engaging People in Improving Quality (EPIQ) is designed to help bring people along on the journey to quality improvement and guide improvement efforts within the context of health care. 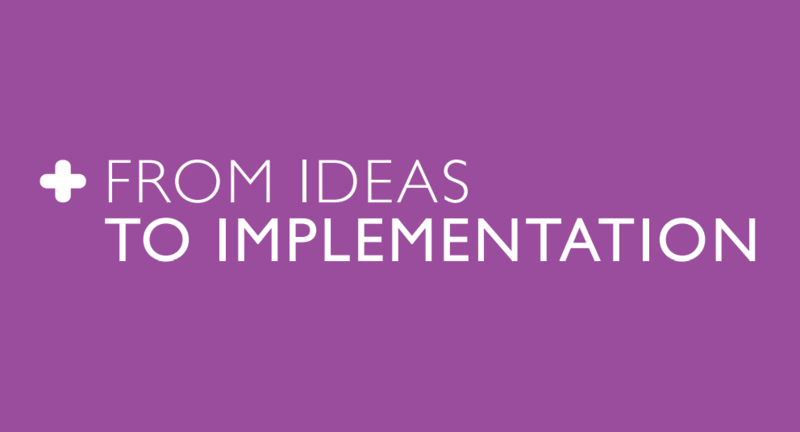 Designed as a teaching resource for those who want to spread knowledge of quality improvement in health care, EPIQ is intended to make teaching others easier to do by providing teaching materials, including slides, speaking notes, and activities. Increase capacity and capability for patient safety and quality improvement in BC’s health care system. 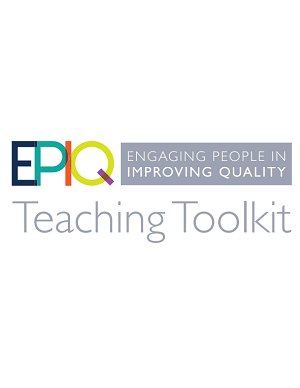 There are four modules within the EPIQ teaching toolkit, each with a different focus for learning. 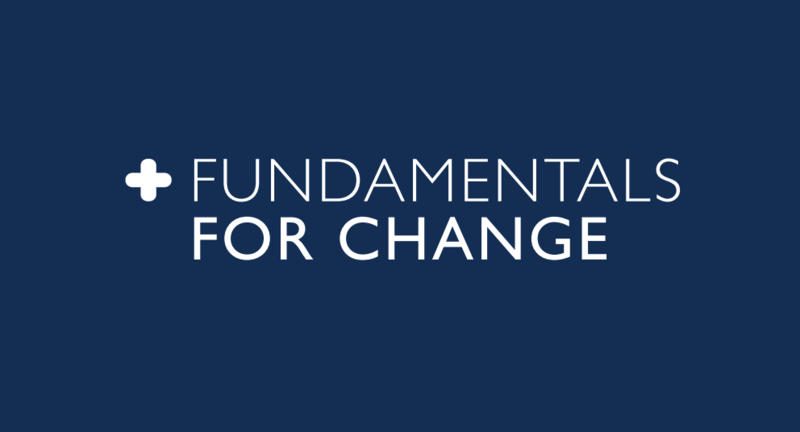 Each module contains foundational information for learning about quality improvement, as well as a variety of activities, discussion topics, and additional resources to support its content. 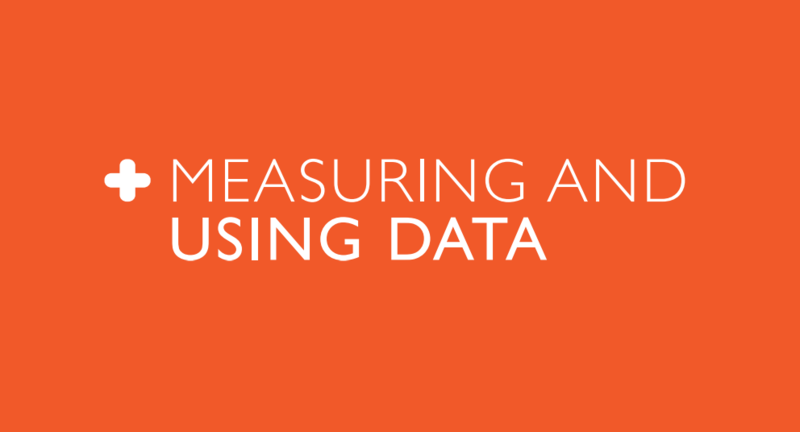 EPIQ is designed to be easy to use and customizable. The modules can be delivered either as individual sessions or continuously as a workshop, allowing you to tailor the materials to suit your audience by removing or adding content and activities. The target audience for these modules includes anyone who works in health care that is interested in learning more about how to make improvements in their work. The audience could be small or large – the content, materials, and approaches can all be adapted to suit the different needs of each group. 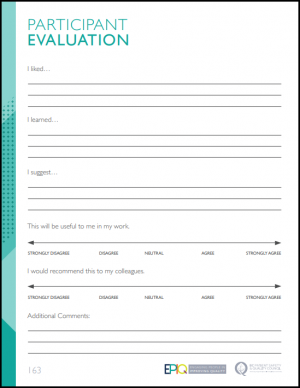 EPIQ also includes evaluation forms to collect feedback from your learners. This feedback can help you reflect on your sessions and think about ways to continually improve your teaching. You can download the participant evaluation form on the right. 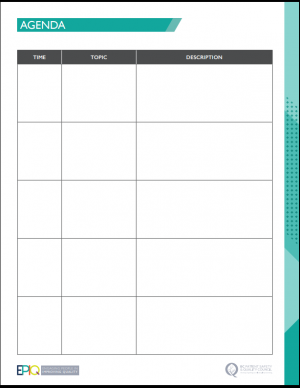 An agenda template you can use to plan your session. 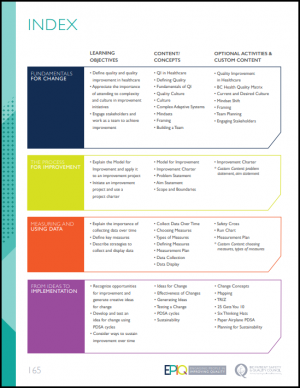 An index of all of the learning objectives, content and activities.